As we welcome warmer summer weather, Tualatin Valley Fire & Rescue reminds parents, grandparents, and babysitters that window falls are preventable. Each year, window falls account for about eight deaths and more than 3,300 injuries to young children in the United States. In Oregon, 26 children ages 5 and younger fell from windows in 2016. 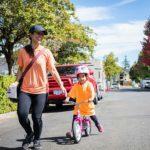 TVF&R firefighter paramedics responded to an incident last May involving a 3-year-old boy who fell from a second-floor window of his Tigard home. 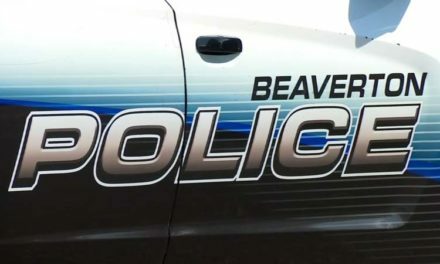 The child was transported to an area hospital for injuries he sustained when he landed on a concrete sidewalk after pushing out a window screen. Window screens are not strong enough to keep a child from falling out of a window. They are designed to keep bugs out, not kids in. Because children frequently land on their heads, many require hospitalization for fall injuries and may have permanent disabilities. A majority of falls occur between May and September, but can happen anytime windows are open. The encouraging news is that simple steps can help prevent injuries. 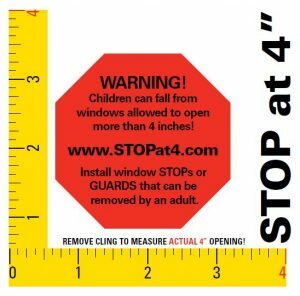 As a partner in the Stop at 4 Inches Campaign to Prevent Window Falls, TVF&R urges parents and families to continue their commitment to window safety. Please share the following tips with friends, family, or anyone else who has children living in or visiting their home. Keep windows closed and locked when not in use. Keep furniture and anything a child can climb on away from windows. Do not open windows more than 4 inches and install window stops. Window stops prevent windows from opening wide enough to allow a child to tumble out. Window stops should be easily removed by an adult in the event of a fire or other emergency, as windows serve as a secondary means of escape. For a double-hung window, open the top portion near the ceiling for ventilation while keeping the bottom portion closed. Actively watch children near windows — no device can replace adult supervision. Encourage children to keep a safe distance away from windows. Ask about window safety when your child visits other homes. For more information about window safety, appropriate safety devices for your style of windows, and locations to purchase window stops and guards, visit www.StopAt4.com. 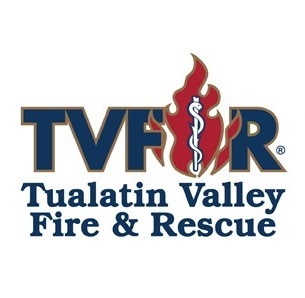 For more life safety information, visit www.tvfr.com. Previous(Dis)abilities + Work + Beaverton = No Problem! Meet Salim Antonio, Employed! 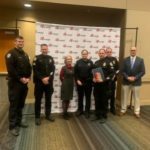 Zoo News is Good News: National Awards For Excellence, Zoo Wins …Again! 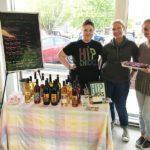 Restaurant Spotlight: Noodles & Co.